Ladies and gentlemen, we've come upon the African veldt, where the hand of man has never set foot. And wouldn't you know it? Looks like that pride of lions has settled down for the evening and is enjoying their favorite dinner pastime--zebra on the rocks. Yes sir, that right there is their favorite. Do you think they just sit there, going "white meat, dark meat, white meat, dark meat?" Never mind. But it does simply prove the first law of the jungle, folks. Never, ever, ever, EVER, ever... be a zebra. 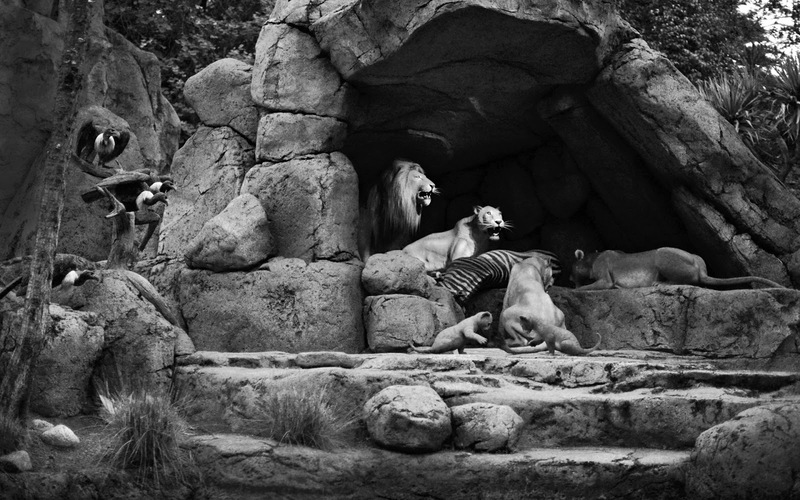 This pride of lions is protecting that sleeping zebra. Isn't that cute?